The HiRISE camera has a website called HiWish that lets anybody (yes, even you!) make image requests. That’s right, you can choose any spot on Mars that HiRISE can see, pick any season (or let them pick for you if you don’t care), and one day the Mars Reconnaissance Orbiter’s path will fly over your spot and, if it isn’t scheduled for other observations, HiRISE will take your image! I’ve made several requests that way. 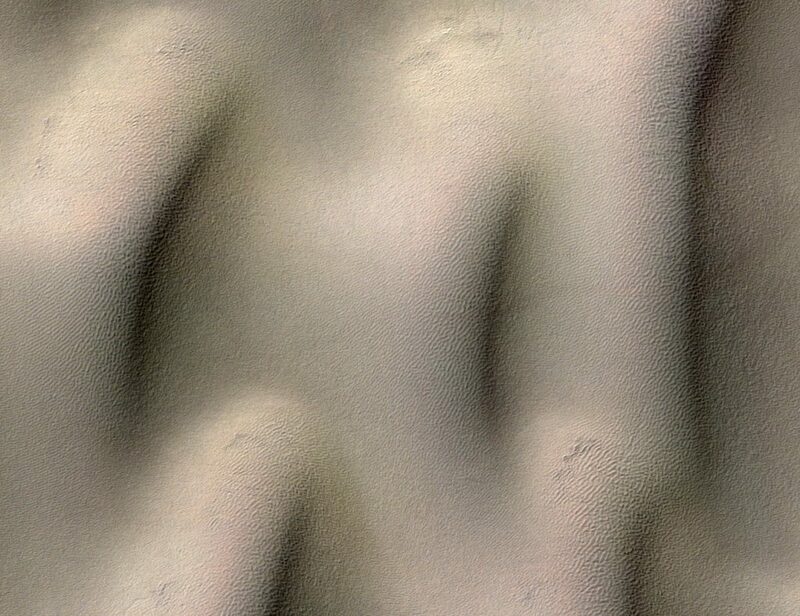 Sometimes I want to get repeat coverage of an area to see if dunes and ripples have migrated – that requires both a “before” and an “after” image. 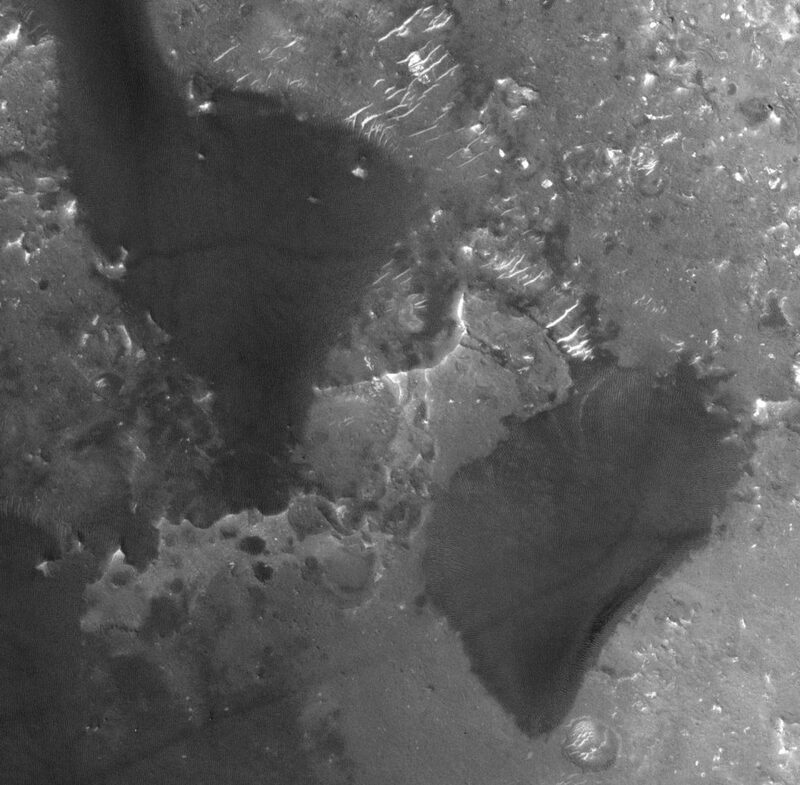 Sometimes I want a closer look at something that isn’t easy to figure out using other images – HiRISE is still the highest resolution camera sent to orbit Mars, so it’s sort of like whipping out a magnifying glass to have a closer look at something you could otherwise only squint at. 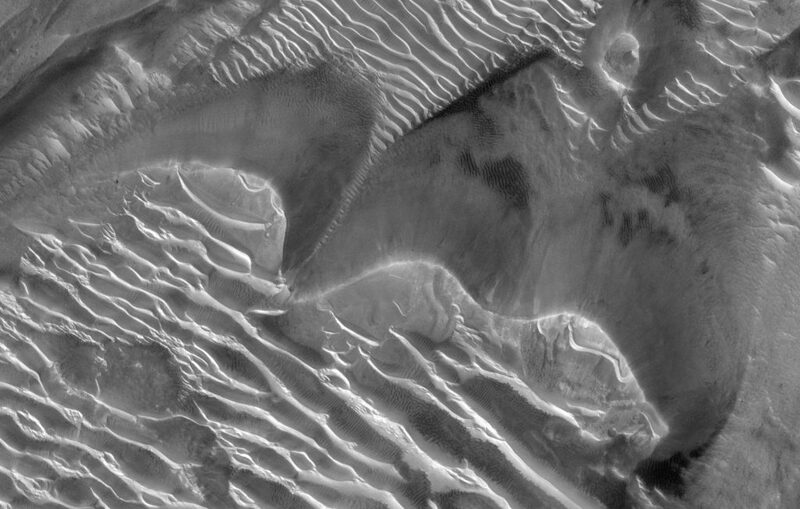 HiRISE will never be able to image the entire surface of Mars, so instead the team prefers to take images in places where people think something interesting is (or was) going on. Rather than just randomly snapping photos of Mars, they want to maximize what we learn about the planet (just making the most of US tax $$). 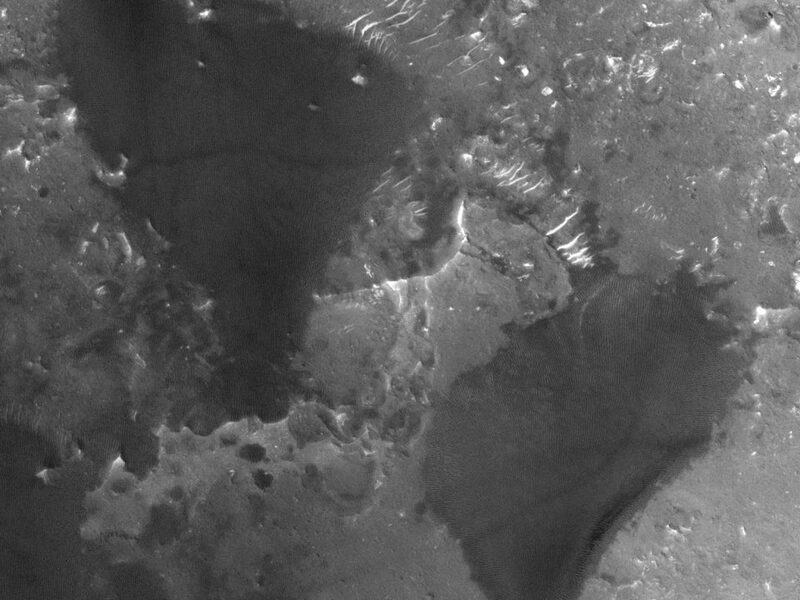 Yeah, so, Hellas Planitia is a tough place to image. It’s deep, so there are more kilometers of dusty air between orbiters and the surface than over the rest of Mars. Also, it’s a place known for strong slope-driven winds that can kick up a lot of dust. Dust storms often start there. And, it’s in the southern hemisphere, so that the best (sunniest) time to image it is during southern summer, which just happens to be the dustiest time of year on Mars. If you look at old global albedo maps of Mars, Hellas Planitia often looks like a giant bright oval in the southern hemisphere – that’s because it’s hard to get enough dust-free images to see what the surface actually looks like. 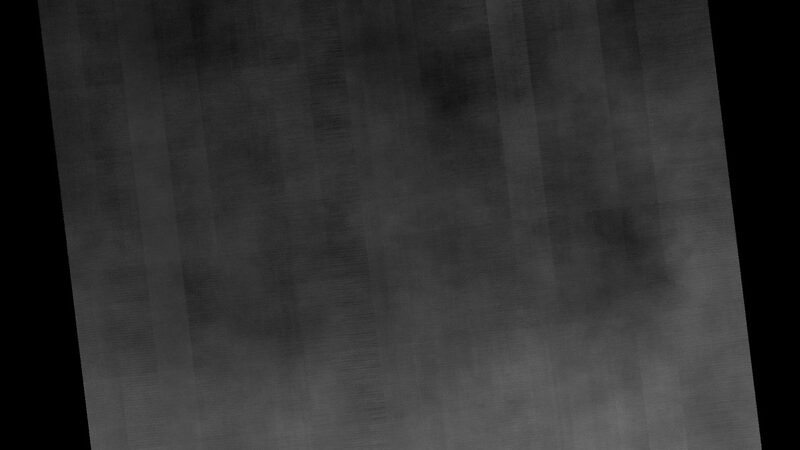 HiRISE took this dust-filled image on June 13, 2018. At that point a huge global-scale dust storm had enveloped most of the planet. 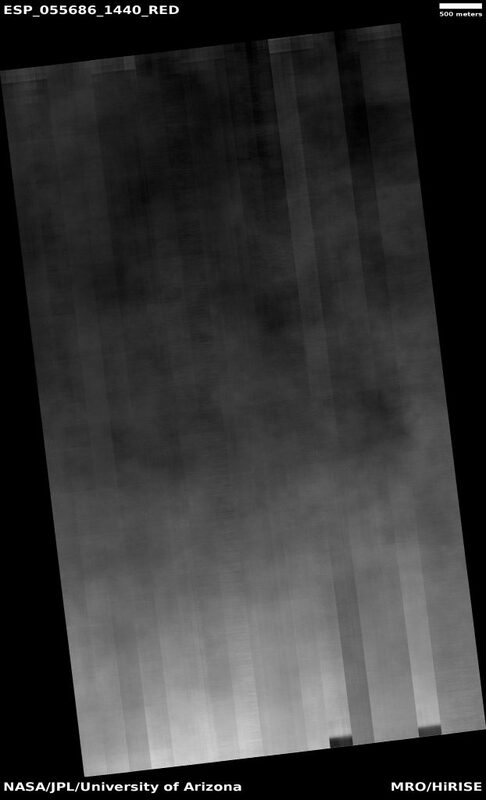 This is the storm that put the Mars Exploration Rover Opportunity into hibernation, and only now as of early August is the mission team considering trying to wake it up again. Those of us keeping track of images that come down from Mars will always remember that mid-2018 will be a bad time to look for images of the surface. On the other hand, if someone is looking for impacts from the dust storm (like whether dust devil activity is suppressed, or where dust fallout from the storm is most apparent), then that might be the set of images you’re looking for. I didn’t get to see my dunes, which is sad. 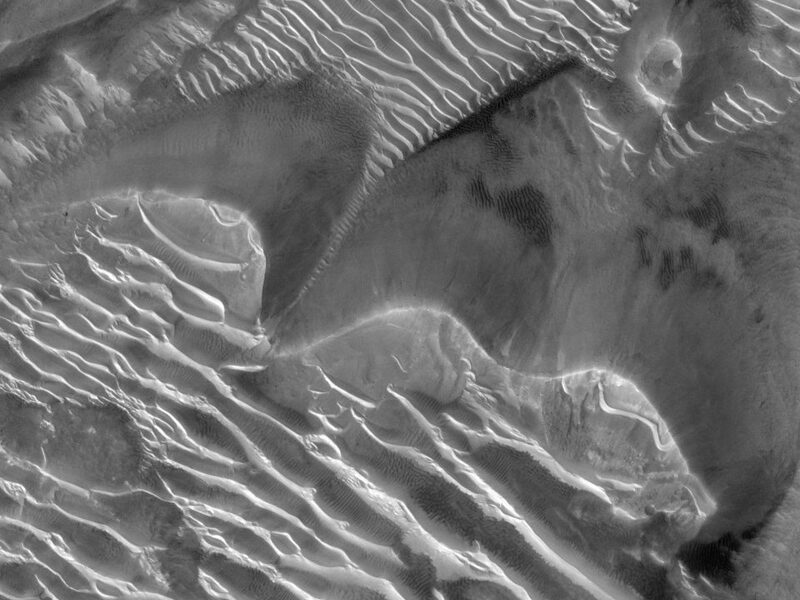 But as long as HiRISE is still taking images, I can always put in another request at HiWish.